Barcelona, 20 October 2015 - 4 Years From Now (4YFN) 2016, the business platform for the growing community of technology startups at the international level, backed by Mobile World Capital Barcelona, launches the third edition of the event, in collaboration with the GSMA Mobile World Congress. With a view to supporting digital entrepreneurial talent, 4YFN 2016 is expanding its space to 18,000 m2, more than double that at the 2015 edition, and presenting a wide range of activities aimed at generating new business opportunities for the entrepreneurial community worldwide. 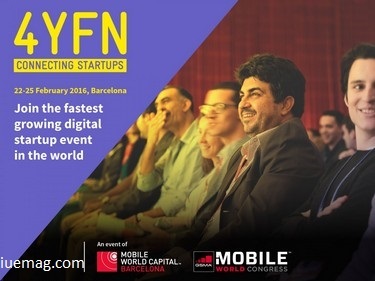 4YFN 2016 will be held at Fira de Barcelona on Montjuïc from 22 to 25 February. The 4YFN 2016 grounds have been expanded in response to the requests for space filed by startups, investors, accelerators and Spanish and international corporations at previous editions. This enlargement will make it possible to create new spaces hosting startup competitions, lectures, round table talks, fireside chats, and workshops featuring leading professionals in the field of digital innovation. Space is now available for reservation. Thus far delegations from around the world - including Austria, Belgium, Colombia, South Korea, France and the UK - have signed up for the event. The 4YFN 2016 line-up of activities will revolve around three core themes (Disrupted by Mobile, the Internet of Things and Digital Media), bringing together the most innovative professionals and ideas in the digital sphere. At this third edition the organisation plans to see even more participation than at last year’s event, which drew more than 8,000 attendees - triple that at the 2014 edition. Wikipedia, Microsoft Ventures and The Huffington Post have been added to 4YFN 2016's programme. Jimmy Wales, co-founder of Wikipedia and co-chair of the social network TPO; Jon Bradford, co-founder of F6s, one of the world's largest contact platforms for entrepreneurs and startups, and Tech.eu, a leading information source in the entrepreneurship sector; Zack Weisfeld, Managing Director of Microsoft Ventures; Rene Rechtman, Head of International at Maker Studios; Nathan Eagle, CEO and founder of Jana; Samir Arora, CEO, founder and chairman of Mode Media; and Bhav Singh, CEO of Sandbox Partners, are the first confirmed speakers. And, for the second straight year, the series of talks will also include The Huffington Post CEO Jimmy Maymann. Yossi Vardi, distinguished figure in Israel’s entrepreneurial ecosystem, will also have a key role at the event as 4YFN Chairman. 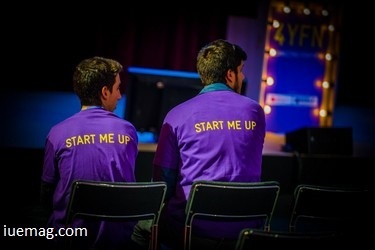 4YFN 2016 is committed to startup competitions as an instrument to discover the most innovative projects in the digital sphere. Along this line, the organisation is repeating its 4YFN Awards, a thematic startup competition recognising the most innovative projects in the digital realm. The awards, which will be issued based upon the opinions of a panel of professionals from different sectors, include three competitions, with one each day. As at the previous edition, they will focus on the event's core themes: Disrupted by Mobile, on February 22; the Internet of Things, on February 23; and Digital Media, on February 24. Jon Bradford, co-founder of F6s and Tech.eu, will be the 4YFN Awards' new MC. The 4YFN 2016 will also feature the world finals of the Global Mobile Innovators Tournament, the first international competition for startups, backed by IBM and 4YFN. Startupbootcamp IoT & Data, meanwhile, will also present its demo days at 4YFN in order to share with attendees the achievements of startups that have participated in its three-month acceleration process. The Founders & Investors sessions, which at the 2015 edition produced 5,000 meetings between entrepreneurs and investors, will also form part of 4YFN 2016. With more space, focused on the event's three core themes, and offering new options for entrepreneurs and investors to find projects and accelerate their development, these meetings have carved out a role as the key forum for startups and investors participating in the GSMA Mobile World Congress.